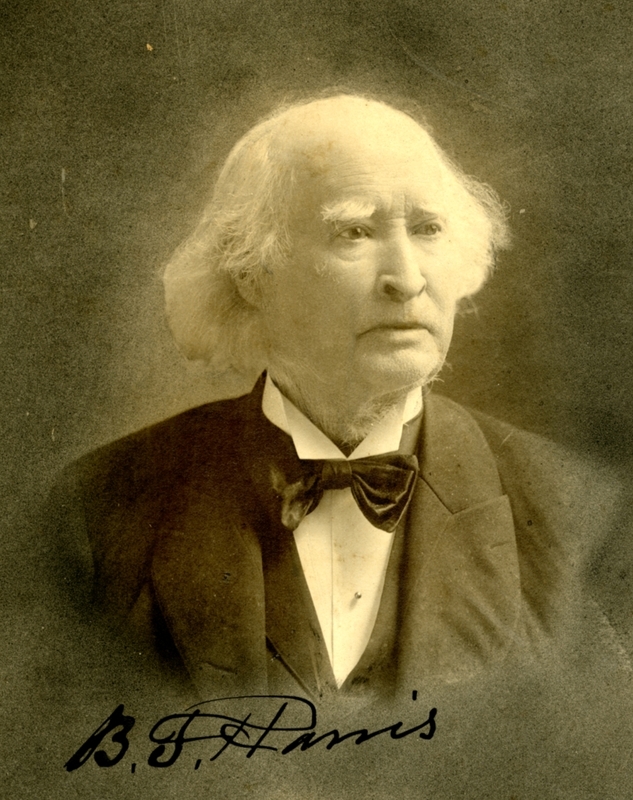 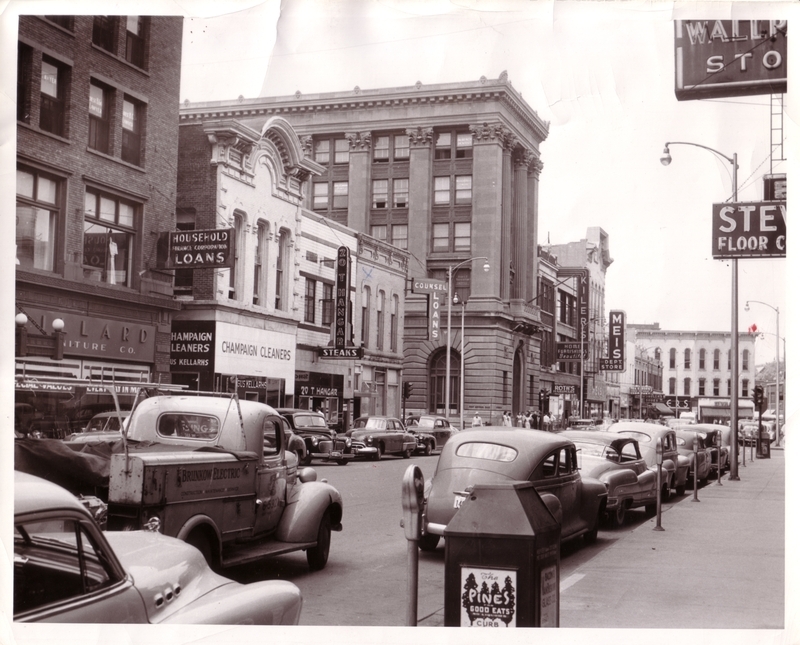 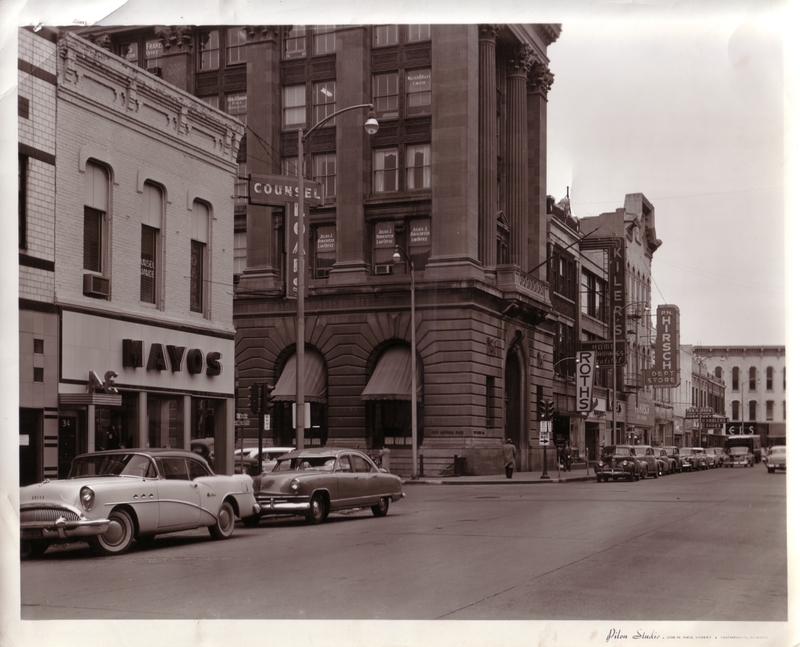 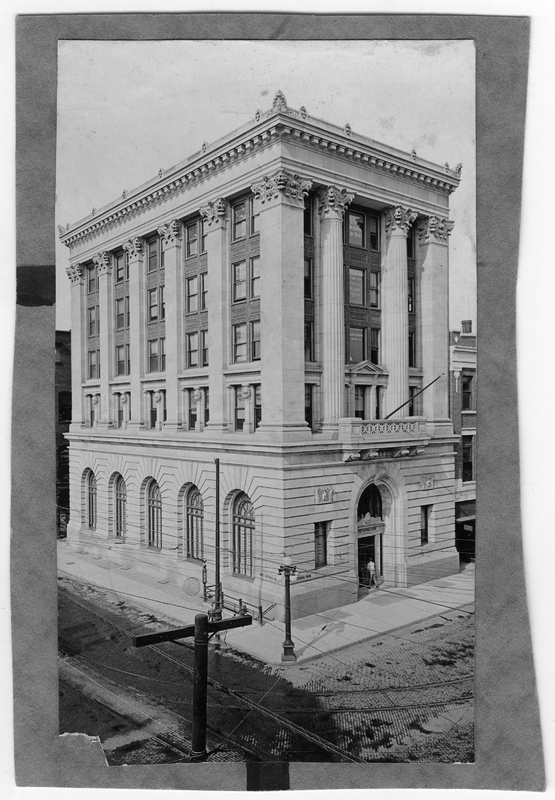 The First National Bank Building was built at 30 East Main Street. 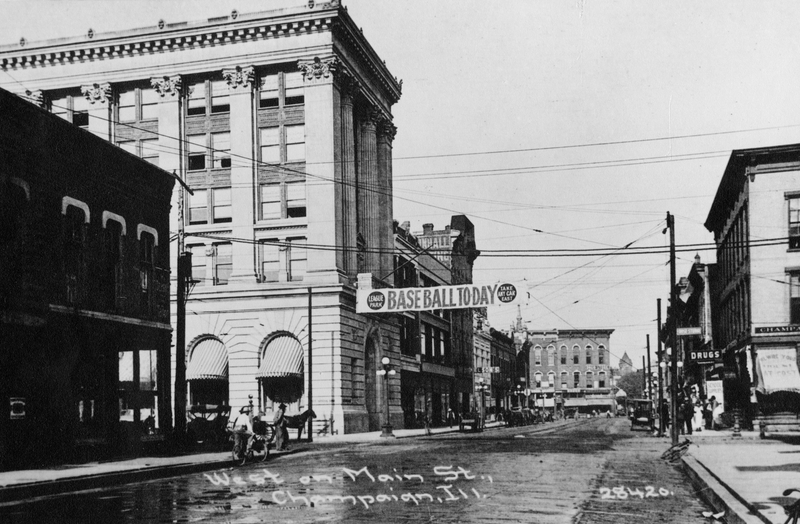 The architectural style is Second Renaissance Revival. 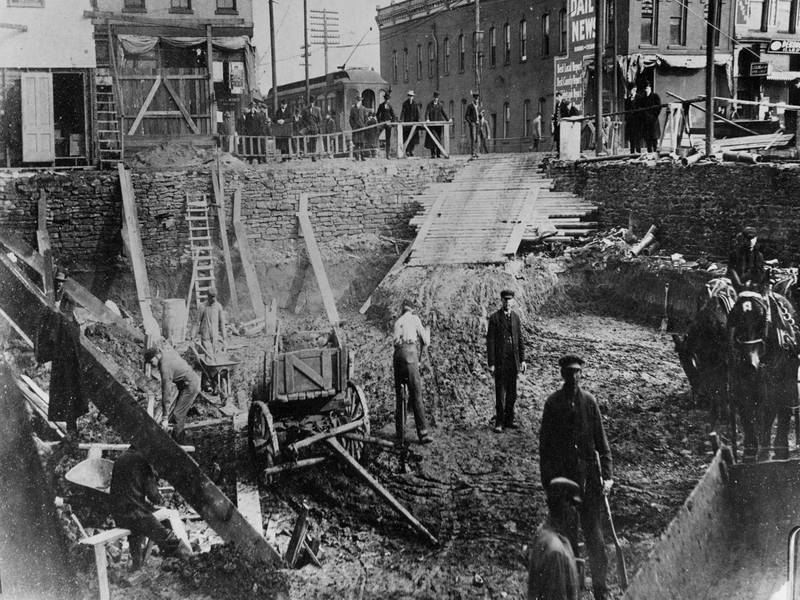 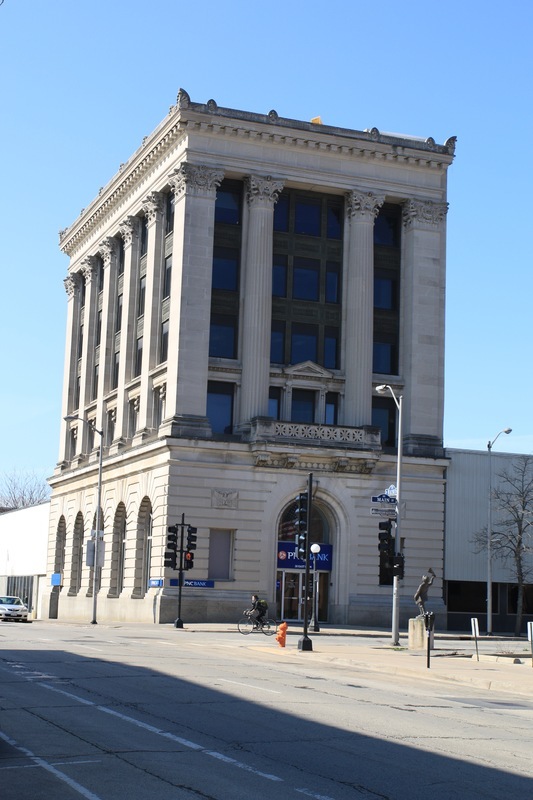 Constructed in 1909 the First National Bank Building represents one of the first steel-constructed buildings in Champaign. 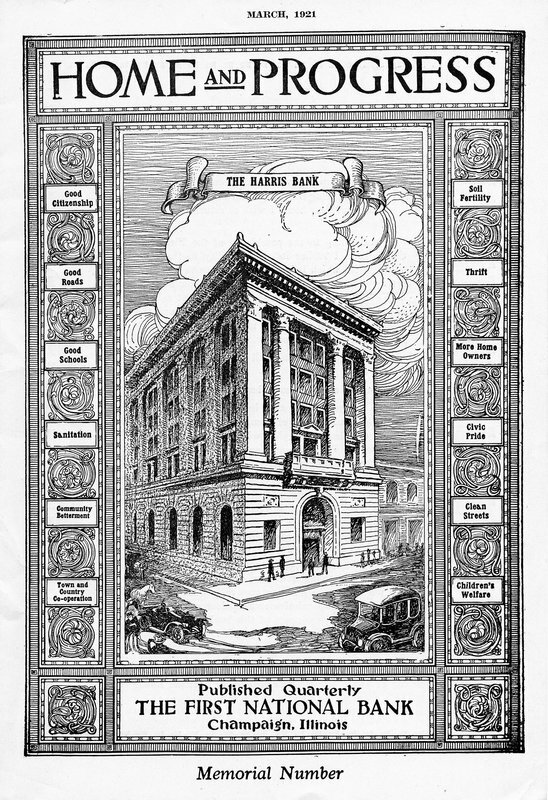 The Chicago firm Mundie and Jensen built the Second Renaissance Revival building to represent the strength of the financial institution. 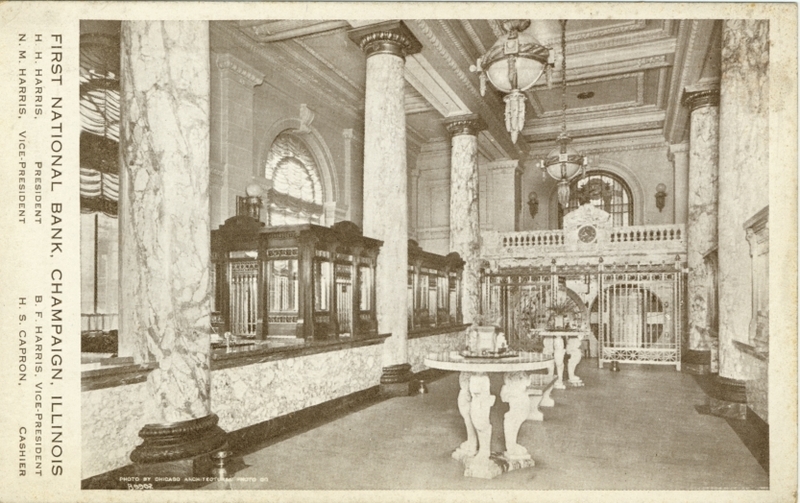 The original marble interior of the bank has been modernized over the years however a glimpse of the buildings gilded past still remains in the main stairway shaft inside the front entrance. 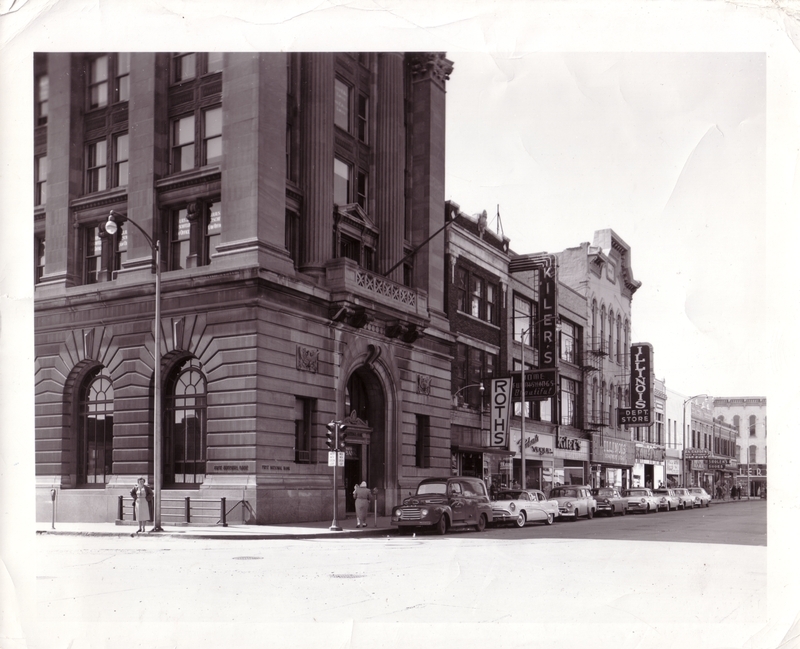 Today the building houses National City Bank as well as offices and law firms on its upper floors. 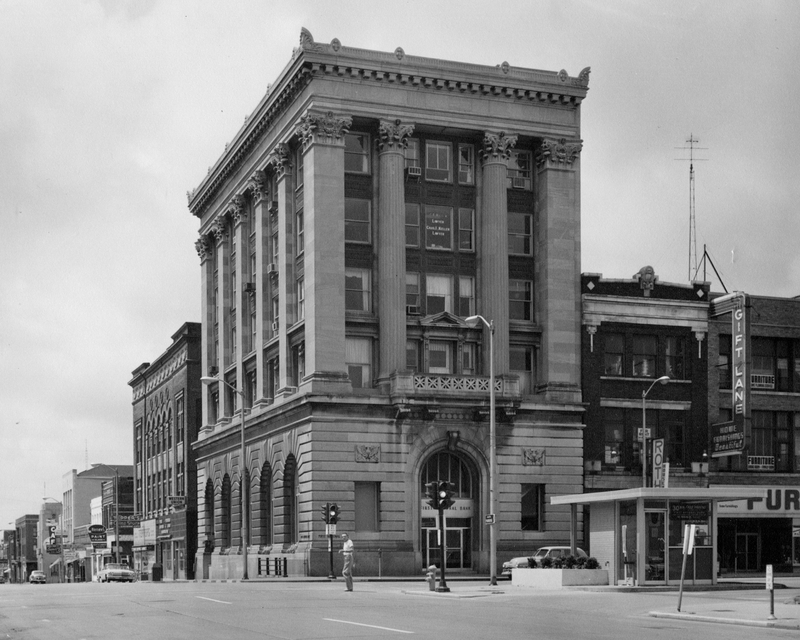 The taller three and four story buildings that once surrounded the building are gone today leaving the bank building to stand alone among its parking lot and drive through motor bank. 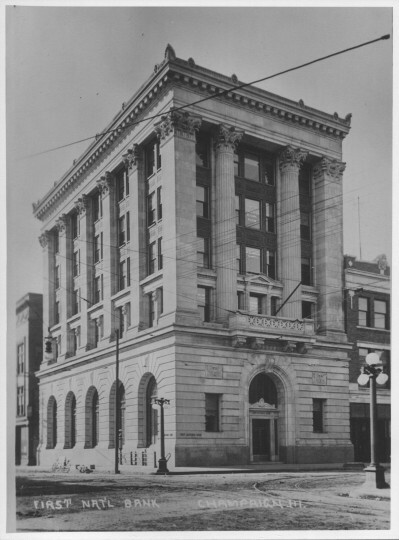 T.J. Blakeman, “First National Bank Building,” ExploreCU, accessed April 22, 2019, https://explorecu.org/items/show/359.